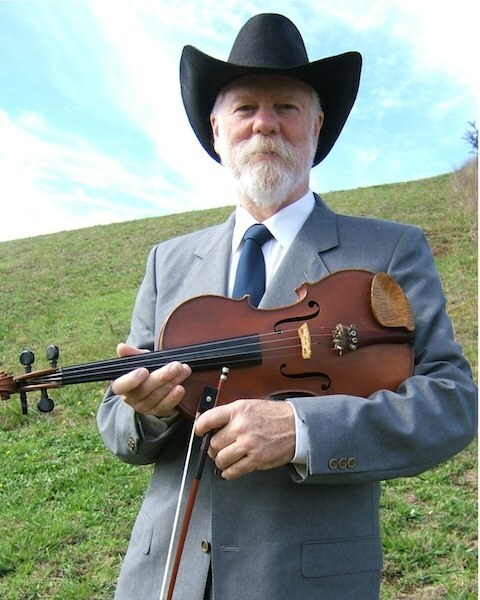 Redlands Bluegrass Committee are presenting an evening with Mike Compton at the South’s Leagues Club, Davies Park in Brisbane’s West End. on 26th October. Mike has taken a passel of influences — “old time fiddle tunes, rock salt and nails bluegrass, the aching allure of the true Delta Blues–to create one of the most recognizable and respected mandolin voices anywhere – David McMcCarty, Mandolin Magazine. For someone playing solo traditional tunes on mandolin this is just about as good as it gets for me – Scott Tichenor, Mandolin Cafe. News just in from John O’Donnell this week is that he and his family band The O’Donnells have been asked to play the ABC Radio Show, Australia All Over with Ian “Macca” Macnamara. John tells us that Australia All Over will be a live broadcast from Brisbane’s famous Southbank on Sunday 1st July. The O’Donnells have been invited to be part of the show for a live chat and to perform their bluegrass song “Back To The Brisbane River.” sometime after 8.00am that morning. The will also be performing as part of a concert at Southbank at 10:00am that smae morning. “Back To The Brisbane River” has been receiving good airplay form 98.9FM’s Top 20 Australian Chart for over 6 weeks now, and it is up to number six on that chart. Congratulation’s from all of us John. We look forward to Macca on Sunday and we’ll see you at the family at the up coming Redlands Bluegrass Festival on the 13th to 15th July this year. 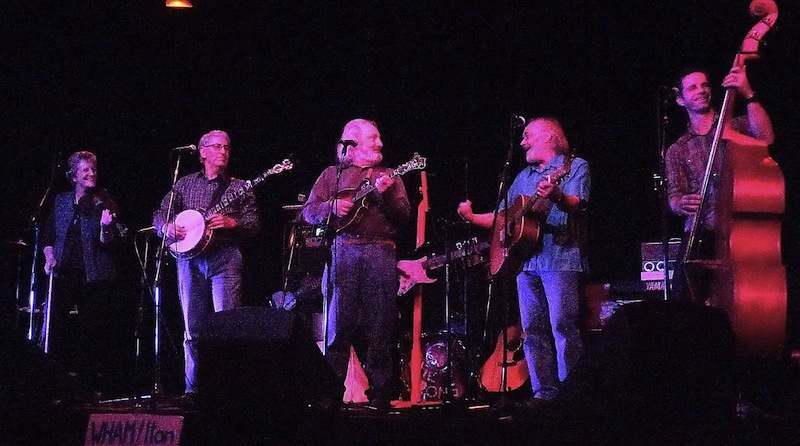 Three time Golden Guitar winners, The Davidson Brothers, and the legendary Hamilton County Bluegrass Band from New Zealand will be headlining the 18th annual Redlands Bluegrass Festival this year. The three-day festival is scheduled for 13th to 15th July at Redland Bay, just outsode Brisbane city in Queensland. Country music fans may remember the original Hamilton County Bluegrass Band (HCBB) who toured Australia with Slim Dusty in the early 70’s. The band recorded the Live at Wagga Wagga album with Slim. According to Joy McKean, it was the HCBB who coaxed Slim Dusty into the studio to record the classic Lights On The Hill. 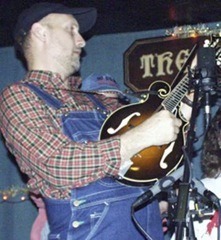 The band provided the twin fiddle backing and a new rhythmic style for Slim. In 1971, HCBB travelled to the U.S., where the Father of Bluegrass, Bill Monroe, invited them to play on the Grand Old Opry. 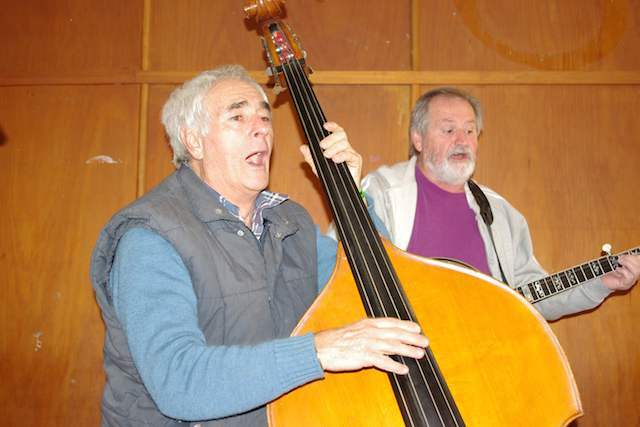 The band is still performing top quality bluegrass and features two of the original members, Paul Trenwith (banjo) and lead singer, Alan Rhodes. Paul’s son, Tim, is playing bass. A special Earl Scruggs Tribute Concert will be hosted this year. 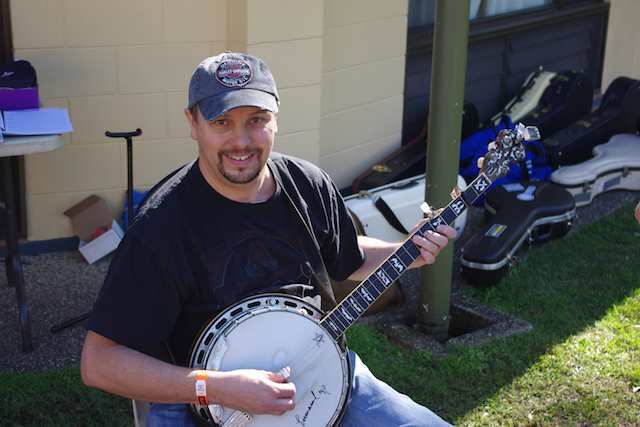 Bluegrass bands from across Australia will be appearing at the festival, including Bluegrass Parkway (WA), Mustered Courage (VIC), Kristy Cox (VIC), Fat Chance (VIC), The O’Donnells (QLD), Buddies in Bluegrass (QLD) and the Redlands Bluegrass Boys (QLD). This year features a new concert program that will run the entire festival, commencing Friday night, all day Saturday and Sunday. 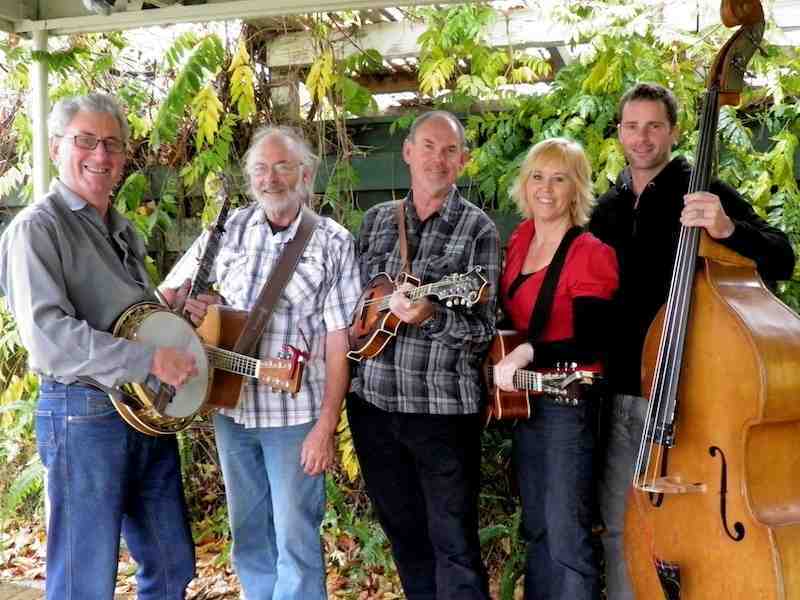 Concert goers will enjoy an ongoing stream of the best of bluegrass bands in Australia. The festival is well-known for its friendly and welcoming atmosphere, catering for beginners through to professional musicians. 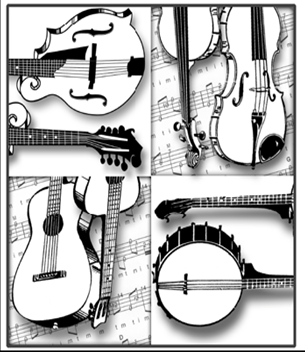 The workshop series will cater for all skill levels and cover banjo, guitar, mandolin, double bass, harmony singing, band jamming and ukelele (new). Supporting this will be ongoing informal jam sessions. Once again the festival venue is the ever popular Kindilan Outdoor Education Centre, on German Church Road in Redland Bay. Accommodation is available on site as well as meals. For more information we recommend you visit www.redlandscountry.asn.au or phone Neil Wills on 07 3206 9226. 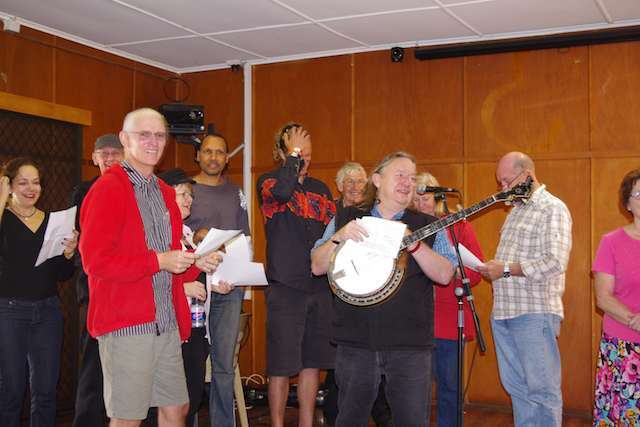 Neil Wills and the team of festival organisers at the Redlands camp have just sent through the artist list for the 18th Redlands Bluegrass Convention scheduled for 13th – 15th July 2012. There is more news to follow as they confirm more artists. 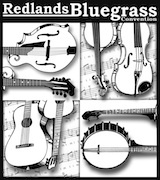 The Redlands Bluegrass Convention reputation has spread far and wide and the response has been terrific, as the festival continues to improve and grow year after year. The 2012 Bluegrass Convention promises to be our best yet. We have planned a great weekend full of workshops, concerts, jam sessions and lots more. All accommodation, meals, drinks, licensed bar and hot showers are available on-site throughout the weekend. What makes three grown men fly across this large country for a weekend of music? My apologies to those expecting a punch line. 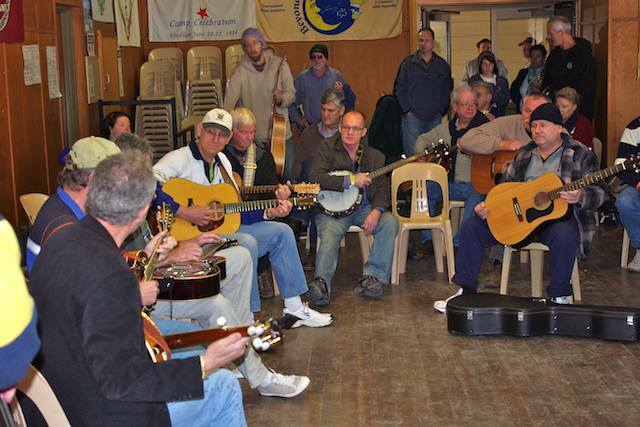 The answer is the Redland’s Bluegrass Convention. Two colleagues and I flew from Perth to Brisbane to attend the 2011 Redlands convention on 8th to the 10th July thisw year. For Ed and Jeff it was the third time they had attended this festival, for me it was my second Redlands. What we love about this event is that it caters perfectly for musicians of all abilities who want to spend a weekend working on their chops, making new acquaintances, and renewing old ones. Of secondary importance to us is the opportunity to see some of Australia’s best bluegrass bands and one US act. The venue (about a 40 minute drive from central Brisbane) is a great place to set up picking sessions, either in the hall complete with open fire at night or out in the sun during the day. As was the case last year, the nights were cold but the day time weather was perfect. The workshops catered for all instruments with intermediate and advanced levels, and included a session on jamming etiquette. On-site accommodation and camping were available, but we opted to stay in a quiet and comfortable motel in downtown Redlands. We probably averaged eight hours jamming each day, plus a five hour warm-up session on Friday night. I did manage to see the Saturday evening concert which was entertaining and catered for all tastes. 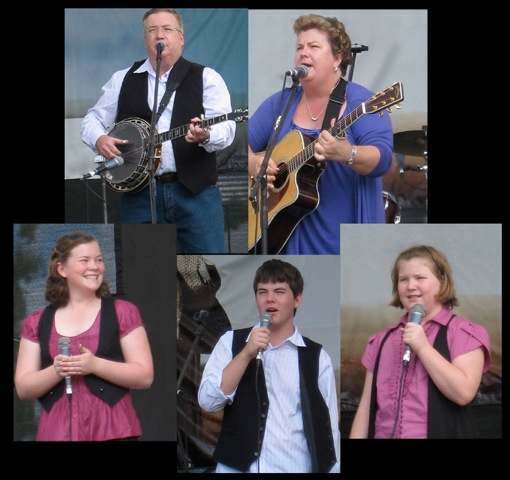 The Victorian band Hardrive presented their traditional style of bluegrass, while Coolgrass, also from Victoria, attempted to offend everyone with their comic send ups. The US act The New Worlds, consisted of four very talented young musicians who pushed the boundaries of bluegrass, and in my opinion fell off the edge at times. Somebody call the bluegrass police. A funny thing happened the night after we got back to Perth. Despite the weekend’s musical feast, all three of us showed up diligently to our monthly bluegrass picking club, and Ed asked those present, “Just checking who’s been keeping up their practice. Hands up those who have played more than five hours each day for the past three days?” Ed, Jeff and I were the only ones. Hopefully we’ll see all our friends again at Redlands next year – Stephen Loss. This month has been a busy one for Karen Lynne who is currently filming a new music video for another of the Wishing Well tracks, a self-penned co-write with Richard Porteous, Blue Mountain Rain. The video is being shot by Dusk Music Video Productions and is expected to be released to CMC in the coming weeks. 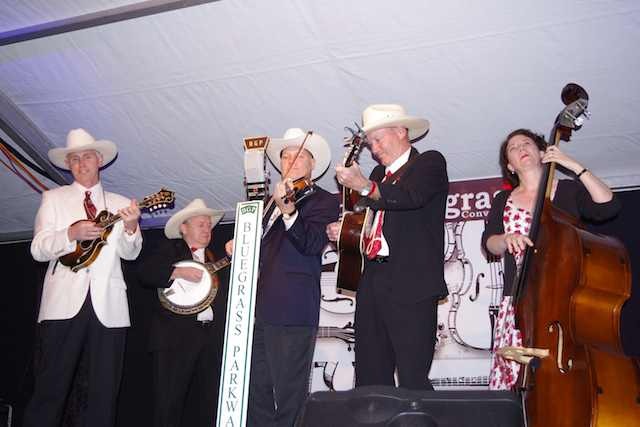 A few weeks ago Karen was featured on the main concert at this year’s Redlands Bluegrass Festival in QLD. This single comes just prior to the release of her first forthcoming single from her forthcoming album Heart Songs, a return to straight traditional Country Music, due out in October 2010. Submitted by Neil and Cilla Wills – Qld. The weather was kind for July in Queensland, clear sunny days and cold nights. Friday night started with a concert after dinner, featuring The Wayward Sisters, The O’Donnell Family, Redland Bluegrass Boys, Pirate Brides, Innes Campbell & Present Company, Groundspeed and closed with Brendan Radford’s Glasshouse Mountain Boys. The well attended workshops ran through Saturday and many of the artists contributed their time to pass on techniques and other wisdom to the eager audiences. The workshops form an integral part of the festival, giving many of the attendees lots of inspiration to keep on learning and practicing every day. 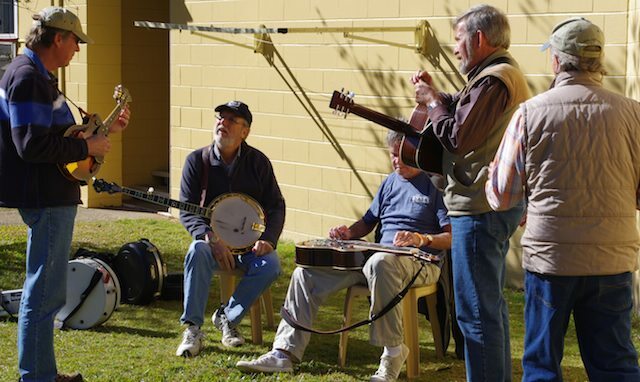 The walk-up concert early in the afternoon gave many of the performers the opportunity to perform on the main stage and they showed that there is plenty of Bluegrass happening locally in the Brisbane area. Mid-Saturday afternoon, George Jackson had organised a Tony Rice Tribute and ten different artists / groups presented wide selection of Tony’s well known tunes. The audience was enthralled and it was just great to see the young hot shots like George, Daniel Watkins, Inness, BB Brownes and Lachie Davidson show the more established artists that they better keep looking over their shoulders because these young guys are coming up fast. Saturday night kicked off with Bluegrass Parkway. The power cut out for a couple of minutes during the set however BGP did not notice and just played on!. The audience loved it and there was a great roar when the lights came on again. George Jackson & Twisted Oak, Karen Lynne, then Kristy Cox finished off the first half. Interval and the now famous ‘mulled wine’ warmed the crowd before the boys from Nashville hit the stage. Midnight from Memphis consisted of David Long on mandolin, Scott Simotacchi on guitar, Preston Schmitt on fiddle and Eric Thorin on upright bass. It was such a pleasure to see these four guys in action, often doing some of their own compositions. As has been the case for the past seven years, the Davidson Brothers closed the concert with fast and furious Bluegrass. These guys just keep getting better and better. A great weekend was had by all, many of our guests kicked on Sunday night with the traditional jam / party. Monday was R&R on Stradbroke Island whale watching and sight-seeing for the day. It was an honour to see Midnight From Memphis in action. Their unique style, great own compositions, harmonies, musicianship and single mike theatrics left the audience demanding more. That was 2010 and now it’s back to the planning for 2011 – Neil & Cilla Wills.